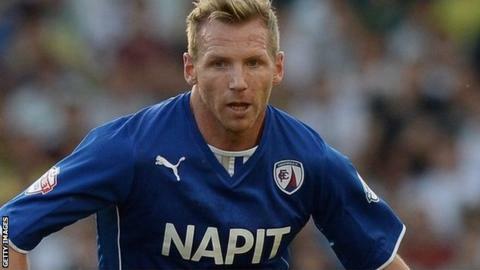 Chesterfield full-back Ritchie Humphreys and winger Jay O'Shea have agreed new contracts at the League Two champions. Humphreys, 36, chairman of the Professional Footballers' Association, made 49 appearances this season and has signed a one-year deal. O'Shea, 25, has agreed a two-year contract extension after scoring nine goals to help the club win League Two. Midfielder Ollie Banks agreed a deal until the summer of 2016 on Tuesday. Read more on Ritchie Humphreys: Who is the PFA's new chairman?